Vicky Foxcroft, the Labour MP for Lewisham Deptford, set up the cross-party Youth Violence Commission following the senseless murders of five teenagers in her constituency soon after she was elected in 2015. She formed it in a desperate bid to root out the cause of escalating attacks perpetrated by young people – not just in the capital but across the UK – and stop them from happening. 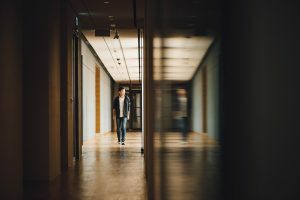 Following extensive research conducted with academic partners, Warwick University and the Open University, the Commission identified a key link between pupils that were excluded from school who go on to be involved in violent crime or end up in prison. 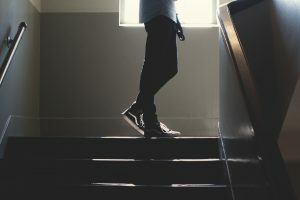 “A number of recommendations came out of that report, and one of them was an aspiration towards zero expulsions, and the reason for that is that when people go into prison we know that a large amount of that population were excluded or sent to a pupil referral unit,” Foxcroft tells RightsInfo. We spoke to @VickyFoxcroft about the overwhelming link between school exclusions and youth violence. Students excluded from school are referred to Alternative Provision (AP), or Pupil Referral Units (PRU), that provide some education in non-mainstream settings, like schools do. The measure is meant to be a temporary one, but often students find themselves in isolated provisions until they finish their GCSE exams. There’s no doubt, when you go in and speak to the prison population, that many of them had mental health problems that were diagnosed or undiagnosed and learning difficulties. According to the Youth Violence Commission research, most students who end up excluded are often the most vulnerable, with complex needs. This can range from special educational needs and communication difficulties, to mental health issues and unsafe domestic situations. A recent review of 26 different studies by the Royal College of Speech and Language Therapists found that 71 per cent of children who formally identified with emotional and behavioural difficulties (EBD) experienced significant issues with language deficits. In a study of boys who were excluded from school, 100 per cent had undetected communication needs and behavioural difficulties, while at least 60 per cent of young people accessing youth justice services presented communication needs that had largely gone unrecognised. “There’s no doubt, when you go in and speak to the prison population, that many of them had mental health problems that were diagnosed or undiagnosed and learning difficulties,” Foxcroft continues. Could We Be Investing Money On Education In A Better Way? On Monday, Foxcroft led an adjournment debate on the link between expulsion and youth violence. During the Commons discussion, she outlined recommendations to government ministers on exactly what needs to be done to ensure students with special educational needs continue to have access to the support they need to keep them in mainstream education. Part of the recommendation includes redistributing the money spent on sending excluded students to pupil referral units and instead funnelling funds into earlier intervention – something she reiterated to Rights Info during her interview. “If you look at the cost of sending a pupil to a pupil referral unit, if I look at our own one in Lewisham, it’s £18,000 a year, whereas kids are in state secondary school education at £6000- £7000 a year – and on average the cost of sending a kid to private school is £17,000 a year,” she concludes. You can watch Vicky Foxcroft’s speech to Parliament – and education minister Nick Gibb MP’s response – here.